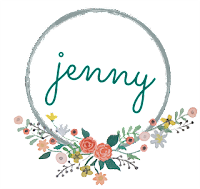 Jenny of ELEFANTZ: Weekend projects for you! After today's post I'll be absent from the blog until Friday 17th so I can enjoy those precious few days next week when my girls visit, and also get ahead over the weekend with grocery shopping, meal preparations, and healthy baking before their arrival. But in case you're in need of things to do while I'm 'away', here's a wonderful variety of free projects I found! 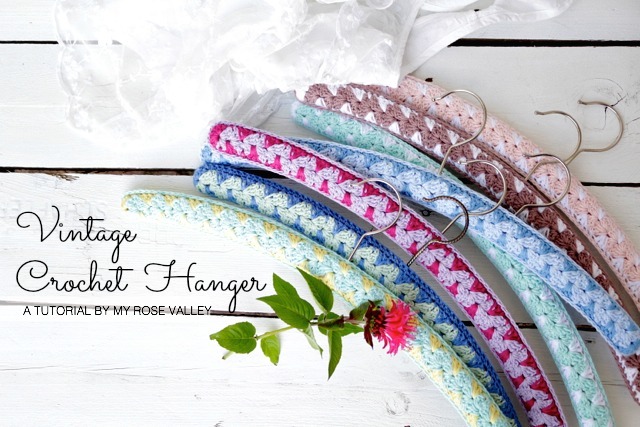 I'm not too great at crochet but I can't stop going back to look at Annette's gorgeous vintage crochet hanger tutorial on her My Rose Valley blog. She makes them look easy, but are they easy enough for me? 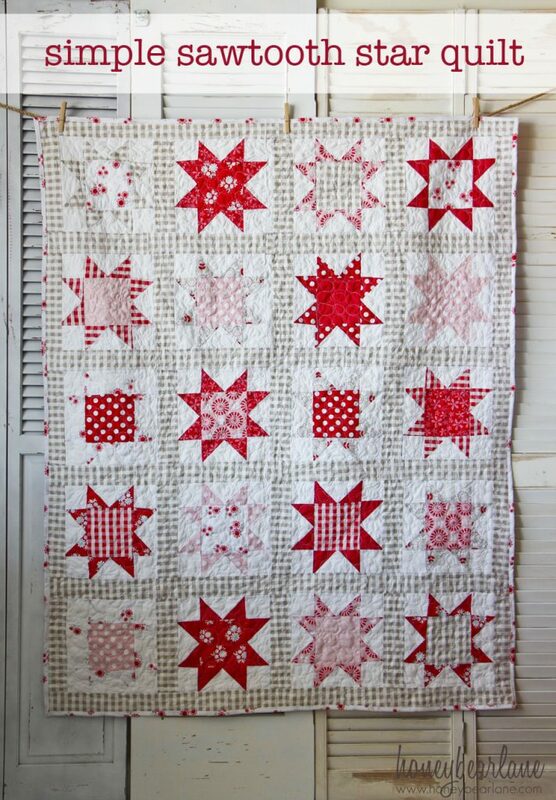 I love the Sawtooth Star block and intend to make this gorgeous quilt pattern from Honey Bear Lane very soon. 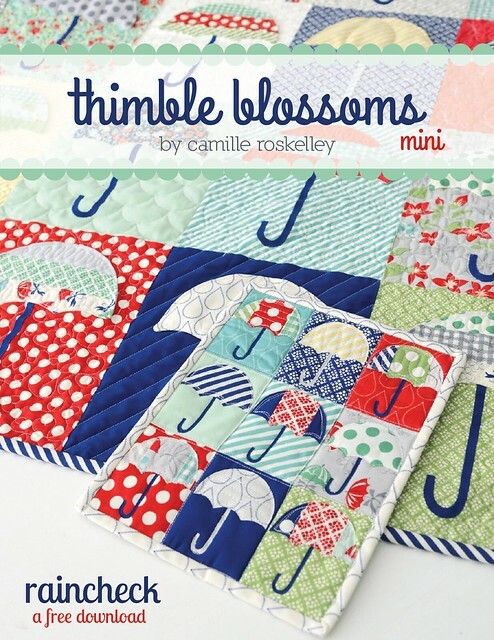 Camille Roskelly has the cutest mini quilt pattern HERE on her blog. Long before I taught myself surface embroidery I used to cross stitch. In fact, I taught a few of my children to cross stitch as well (including a son). This little stocking sampler caught my eye recently and reminded me I should return to drafting a small pattern of my own that I'd started last year. But in the meantime, this is really lovely and I might just consider making it for next Valentines. It's winter here in Australia, though it's yet to find it's way up here to the tropics. However, even if I don't need it, I want to make one of these sweet draught stoppers! They'd work really well as a door stop if I fill them with cat litter or sand. Jenny ich wünsche Dir viel Spaß mit Deinem Besuch ! Die Kleiderbügel sind zauberhaft, ich werd eversuchen sie auch zu häkeln, wenn es mit der Übersetzung klappt. Enjoy your visit. Thanks for all the wonderful project ideas. We will miss your wonderful blogs but so happy for you. To spend time with your daughter and little grandsweetie will be heaven on earth. Enjoy every minute! I will be thinking every day about how much fun you're having. I'm so glad you are taking the week off blogging! Family first, especially this visit. =) Thanks for the links. I especially like the star quilt myself. Enjoy your time with your daughter and grandchild! Some really nice pattern links you have discovered and shared. It has been quite awhile since doing any crochet, but I think the hanger covers would be a fun project and make great gifts. Thanks for sharing and have a delightful visit! Thanks for the links - I have that little umbrella quilt pattern saved, cute eh? Praying for a week of laughter and joy for you all! My maternal grandmother was the crocheter. Doilies everywhere. But my paternal grandmother used to make crocheted hangers of which I have 5. I treasure them I only know the rudiments of crochet but with her excellent instructions I might give it a go. My crocheted hangers are always in use as they keep clothes from sliding off the hanger. Thank you for the link and the memory. I will miss you over the coming days but I will be thinking of you, sending good wishes and as always keeping you in my prayers. I hope this reunion is everything you hope it will be. Thanks for the links to all these projects. My favorite is the draught stopper. I hope you have a wonderful time with your family this week. Wishing you a fun, relaxing, blessed visit with your loved ones. Enjoy your time "away". Have a wonderful blessed time with your family. It's gonna be great! Thanks for all the free pattern links. You have an awesome time with the girls!